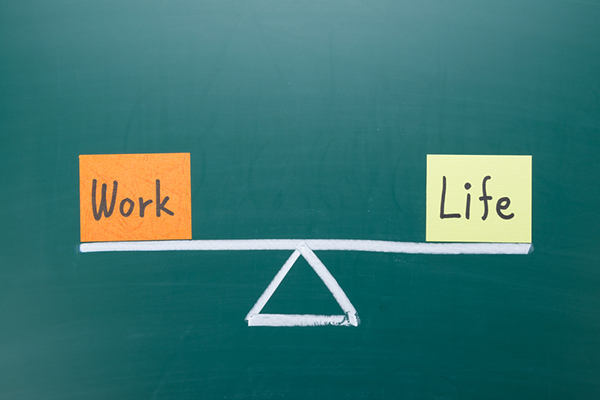 There’s a lot of advice out there on work-life balance. But the truth is, most people aren’t interested in advice on how to balance their work life with their personal life. Instead, they want to know how to juggle both. Research conducted by Cambridge Studies in Social and Emotional Development, for example, shows that employed mothers can have a higher level of well-being than full-time homemakers. This, in turn, has a positive effect on their children, including such benefits as higher academic achievement, better social adjustment and a higher sense of competence and effectiveness. In Ask The Children: What America’s Children Really Think About Their Working Parents, Ellen Galinksky reports on research that involved more than 1,000 children age 8 through 18 who were asked, “If you were granted one wish to change the way your parents’ work involvement affects your life, what would that wish be?” Surprisingly, spending more time with their parents was not on the top of the list for most children. Instead, the majority of children wished their parents would be less stressed and tired from their work. Significantly, the study also found that parents who are energized by their work interact better with their children and have a positive impact on their children’s development. Done right, it’s a win/win situation. If you’re a female entrepreneur, don’t let others’ raised eyebrows make you feel guilty when they find out you’re heading back to your business soon after giving birth. Take comfort in the many studies that show working mothers don’t have a detrimental effect on their young children. Experiencing misplaced guilt not only holds you back from doing your best in running and growing your business, but it also prevents you from fully enjoying your parenting role and being a strong and confident parent for your children. 2. Be intentional about your time. If you’re going to successfully juggle a rich and full professional life with an equally satisfying personal life, you must learn to ruthlessly manage your time. Can you order dinner in two or three times a week? Can you hire a student to help with household chores? Can you use a tutor to help your children with homework a few times a week? Consider, as well, the Khan Academy, a free, online tutoring service, which children can use if they need extra help. S = Substitute. Is there a process or equipment that can you can substitute for a current one that will speed up the way you do business? C = Combine. What time-consuming activities can you combine to save time? A = Adapt. What are some ideas or processes from other businesses that you can adapt to make you more efficient? M = Modify. What can you safely minimize in your life? P = Put to other use. Can you put some staff members to other use by training them to be cross functional? E = Eliminate. What can you eliminate altogether? This could include processes, attitudes and people. R = Rearrange. How can you rearrange your regular routine to make it more family-friendly? 3. Re-evaluate how you show up in each role. As an entrepreneur or business owner, your life is a continuous juggling act that needs to be readjusted en route. What worked well one month may not necessarily work well the next. There are times when all is going well at home and you can devote long days to the business. But there are also times when issues surface in your personal life that require you to drop everything at a moment’s notice to be there for your family. Develop the emotional flexibility to cope with these changing situations. Approach the two aspects of your life as you approach the changing seasons. Take inspiration from Ryan Smith, co-founder of Qualtrics, a global supplier of enterprise data collection and analysis, who says, “Each week, I examine the categories of my life—father, husband, CEO, self—and identify the specific actions that help me feel successful and fulfilled in these capacities.” This is a powerful habit that would serve you well in continuously evaluating how you show up in all important roles in your life. 4. Combine your work life and personal life. Sir Richard Branson, founder of Virgin Group, has a synergistic approach to work and life. He once said that “rather than thinking of these two aspects of your life as antagonistic, why not combine them? As I’ve often said, I don’t divide work and play: It’s all living.” For example, he combined helping his kids do their homework with inviting them to take part in his work. “Discussing your work with them,” Branson says, “can be a good way to spend time together and can help you see problems from a new perspective.” Some of his best ideas, he says, came from conversations with his children and spouse. How can you integrate parts of your work life with your personal life? 5. Put yourself at the top of your priority list. 6. Manage your stress level. No matter how much we enjoy what we do, there are inevitably days when our stress level is high. Acquire strategies to cope with stress and to prevent it from affecting your personal life. For example, set up a rule that evening meals are sacrosanct: All electronic devices are off so you can devote your full attention to whoever is sharing the meal with you. No matter how important your business is, everyone can spare the 30 to 45 minutes it takes to enjoy a meal in peace. Deal with difficult business conversations in a separate room, with the door closed, so the stress doesn’t spill over to your children. On days when you come home stressed, set up a ritual where you can relax for a few minutes by yourself—listening to your favorite music, for example—before you join the family. Think about what other rituals you can establish to put some distance between the day’s stresses and your children so you can juggle both aspects of your life effectively.